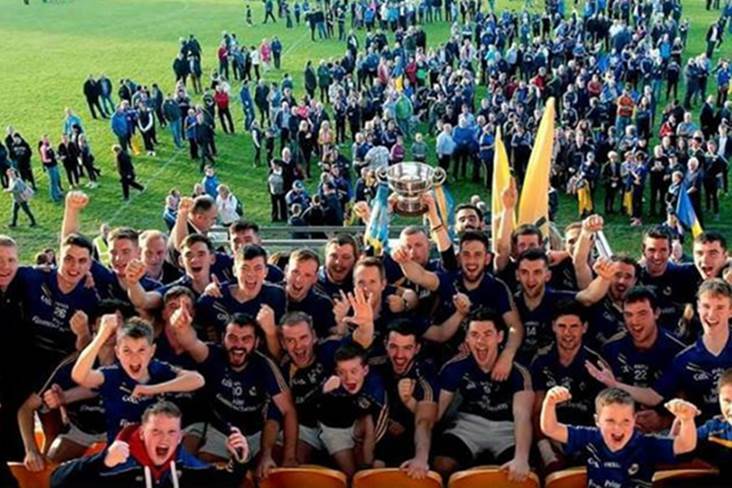 The Aughawillan players celebrate after winning the Leitrim SFC title. Pic via Aughawillan GAA on Facebook. Football in the county is at an all time high at the moment, following Leitrim’s promotion to FL3 for 2020. The focus at the moment is on the club scene and the draw for the SFC was made earlier in the week. This year’s campaign will have teams looking over their shoulder from the outset as three teams face relegation from senior to intermediate, while four will drop down from intermediate to junior. Defending champions Aughawillan take on neighbours Ballinamore Sean O’Heslin’s in the opening round.